Although everyone would agree that saturated fat increases the risk for cardiovascular diseases, there is no scientific relationship found between the intake of (full-fat) dairy and an increased risk of cardiovascular diseases. And although bread contains a lot of salt, the consumption of bread has no effect on the systolic blood pressure. Moreover: bread consumption has a protective effect on cardiovascular diseases. It appears that a food product as a whole is more than the sum of its nutrients. An explanation for the effects of a food product can be found in the food matrix. 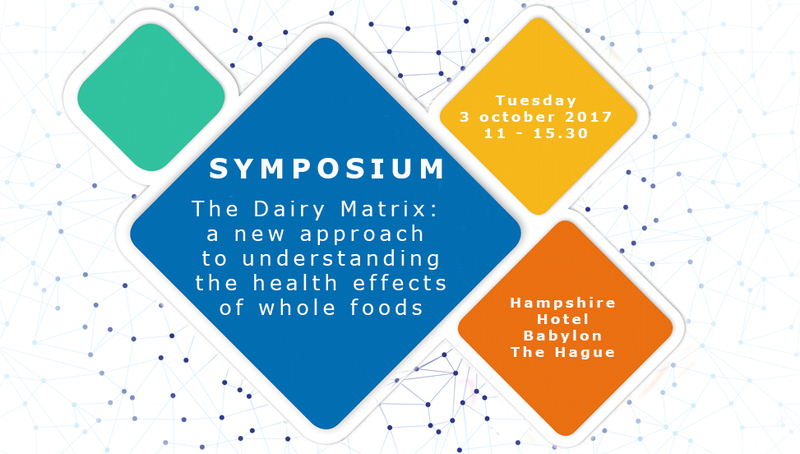 Three international renown scientists will share their vision on the food matrix and dairy matrix on October 3 in The Hague. You are invited to join the symposium!